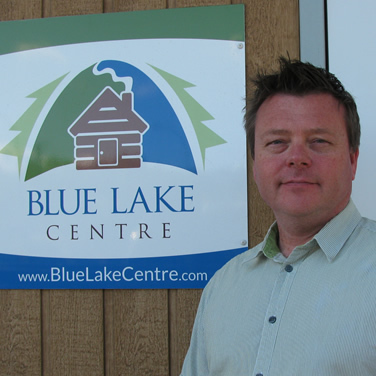 Blue Lake Centre’s new executive director, Todd Hebert, is incorporating citizen science into the centre’s education programs. From horses and handsaws to logging trucks and high-speed lumber stackers, the Kalesnikoffs have kept the family business going strong since 1939. 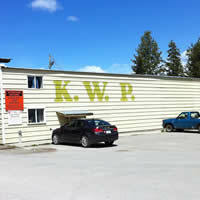 After five years of downsizing, Louisiana-Pacific Building Products in Golden, B.C., is in a promising growth phase. Vancouver-based Canfor and a number of other companies lead the list. 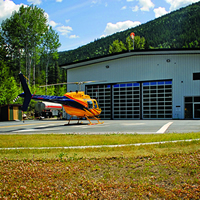 Steve Benwell has grown his company into one of the largest helicopter operations in the Kootenay region. 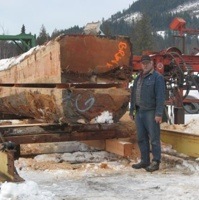 A Surrey-based company has purchased Meadow Creek Cedar’s long-idled sawmill at Cooper Creek. Jemi Fibre based in Vancouver also recently acquired three wood manufacturing companies in the region. 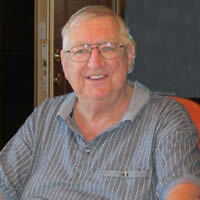 Mike Hambalek's business is attracting international attention with its innovative products for the mining industry. On the brink of its 60th year, KMC/Kootrac has introduced a 3000 series to better serve industries around the world. 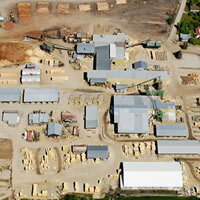 Several upgrades are now complete at Canfor’s Elko sawmill and the project should wrap up in late spring of 2014. 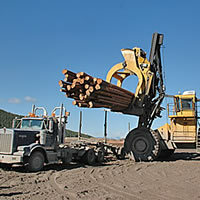 Through the toughest of times, B.C.’s forest industry has managed to sustain itself and it is now poised for growth. The industry is expected to need at least 60,000 new recruits by 2020. 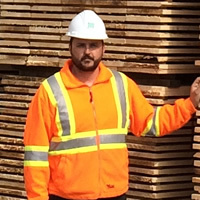 Wynndel Box & Lumber is a family-owned company in Wynndel, B.C., that is entering its second century in business. 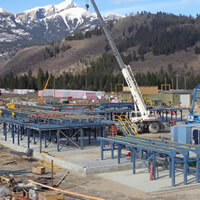 Canfor Corporation is a company on the move in the East Kootenay. The city of Revelstoke, B.C., and local lumber company Downie Timber have been supportive of each other—to the advantage of both. Fab Rite Services Ltd. offers a wide range of services to the industries of mining, oil and gas, forestry and construction. Will Canfor step up to the plate and add to its holdings in the East Kootenay with the purchase of the Skookumchuck pulp mill? 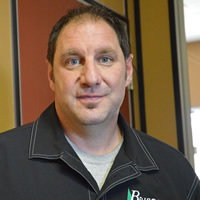 Steve Benwell is the owner and founder of High Terrain Helicopters, a Kootenay company that has been in operation for 20 years. Need firewood, who you going to call? Kalesnikoff Lumber. Canfor, B.C. 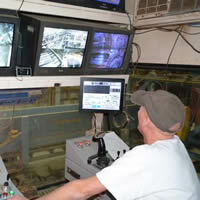 's largest forestry product company, is busy getting their shuttered Radium Hot Springs sawmill back into production. Three partners from Cranbrook have purchased the consulting side of Interior Reforestation and formed a new consulting firm called Vast Resource Solutions. Montreal-headquartered Stella-Jones Inc. has signed a non-binding letter of intent to acquire certain pole treating assets of Brisco Wood Preservers Ltd., a provider of treated wood poles located in British Columbia. The Business in Vancouver newspaper is reporting that Celgar, located just north of Castlegar, is fighting with BC Hydro over the sale of excess power to Fortis BC—BC Hydro’s main competitor. Golden Engineered Wood Products, which has enjoyed a longstanding presence in the town of Golden, is proud of its work and workforce. 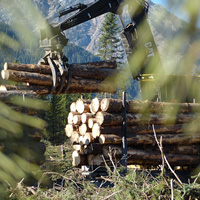 Canfor Corp. (TSX:CFP) plans to spend $40 million to upgrade sawmills in the Kootenay region. Canfor has completed the acquisition of the Tembec Industries Ltd. southern British Columbia interior wood products assets—consisting of the Elko and Canal Flats sawmills and approximately 1.1 million cubic metres of combined Crown land, private land and contract annual allowable cut. 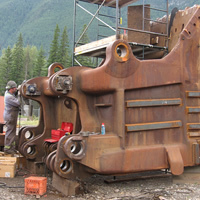 On November 28, 2011, Canfor Corporation announced an agreement made with Tembec Industries Ltd. that they will acquire Tembec's sawmills in Elko and Canal Flats in southeastern B.C. The Midway mill has been re-opened and brought back to life—a venture that turned out to be a true community effort in every sense. 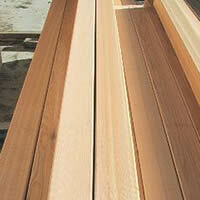 WoodEx currently creates and exports value-added lumber products, primarily for the Chinese and Japanese market. 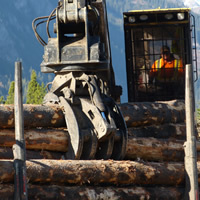 The mill does not have its own forest tenure, so can now tap into some 5,000 cubic metres of timber on Akisqnuknik lands. Canfor, which is Canada’s largest lumber producer, will buy Tembec’s Elko and Canal Flats sawmills and approximately 1.1 million cubic metres of combined Crown, private land and annual allowable cut. 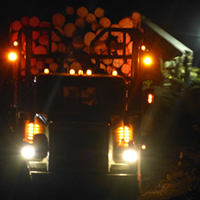 Canadian Timberlands has completed its tree planting operations across B.C., Alberta, Saskatchewan and Ontario, and although more than 12 million trees were planted, not one recordable safety incident was incurred for the 2011 planting season. Over the past years, Kootenay Manufacturing Co. (KMC) has been supplying countries in South America with FMC and KMC Track Skidders. The majority of machines are in Colombia, Ecuador, Chile and Brazil. Situated in Wynndel, just north of Creston, B.C., Wynndel Box & Lumber company is getting the attention of the world catering to over 13 countries including Pakistan, Europe, the Middle East, the United States, and Japan. The Midway sawmill reopens in the B.C. 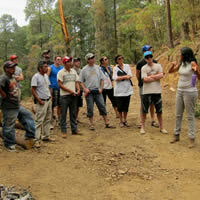 Interior, promising to create jobs and bring economic benefits to the region. 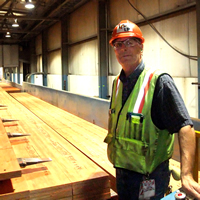 Tembec sees positive signs that the American lumber market is ready to rebound. Despite not selling a single board of lumber into the Japanese market since the earthquake in northern Japan, Tembec representative is upbeat about the Asian market. Cranbrook and area biggest employer, gave the monthly Chamber of Commerce luncheon an update report.